I put the morning coffee on to brew and then reached for a CD of Mozart’s Violin Sonata in B flat. After I carefully placed it in the CD player. pushed the “play” button on the remote and my Bose player began filling the kitchen with music. The soft, slow opening lines of the Largo – Allegro began. I listened. A piano and a violin began to gracefully move me to listen closely to this composition, written centuries ago. The lyrical melody begins and I close my eyes awhile before I continue writing my essay. 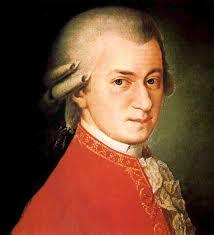 There is something compelling about Mozart’s music; it gently urges me to stop whatever I am doing. The music takes me back in time – but not the time in the Eighteenth century when the music was first performed for a royal audience. It is my own time, near the end of the Twentieth century when the music of Mozart became a core element in my personal life. While listening to this music, my mind is taken on a journey far away from this present chilly, gray November day. My musings create layers of memories. As I begin writing the opening thoughts of this essay, I enjoy my cup of fresh coffee. I spiced it up with some hazelnut creamer. 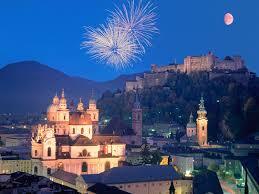 The days and years of past times come visiting me once again as I slowly recall my first exciting days in Austria. Yes! It was just Mozart and me. My first trip to Europe was in the summer of 1991. The trip was a gift I gave myself to celebrate a goal I had completed in May. I finished my MFA degree at West Virginia University in Morgantown, WV. 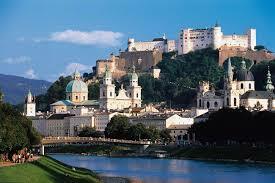 Soon after my graduation, I arrived in Salzburg, Austria at the beginning. My arrival was just in time to join in the celebration festivities for the 200th anniversary of Mozart’s death. My month-long visit was filled with special art exhibitions in palaces and museums, all focused on some aspect of Mozart’s life or his music. I attended as many concerts as I could, and viewed special exhibits of art that month. OH, I was hooked on Mozart! I walked through his birth house, and death house, and stood inside the churches where he performed for masses. I attended the Mozart Mass at the Dom du Salzburg and basked in the sweet aroma of swirling, smoky incense as the priests entered the sanctuary. I even found the grave sites of his family members and his wife, Costanza. Like most tourists, I purchased the famous Mozart candy, Mozart t-shirts and sent out lots of Mozart post cards to all my friends and family. Ten years after my first trip, some of my poems, sketches, and reflections from that experience were crafted into a book, “Concerti: Psalms for the Pilgrimage.” The book was published by KotaPress. Prior to the trip to Austria, I was in graduate school pursuing my MFA degree. I worked diligently during those two intense years doing research, creating art, and teaching. At times, I was so exhausted from working days and nights. When I went back to my apartment for a rest and some meals, I often refreshed my mind by listening to Mozart’s music. I was particularly drawn to his Requiem Mass because it echoed my own weariness. My visit to the city of Mozart’s birth and death was a natural choice. While in Austria, I made an intention for my own life. I realized that I fell in love with Austria, the artworks, architecture, the people I met, and the music of the masterful composers who lived in Austria over the centuries. I intended to order my life in such a way that I would spend my summers there every year. Of course, I had no idea how that would happen, or if it could happen, but I knew it would be the life I would choose to live. to work in a studio in a small village in the Alps. Most days, we met early in the morning and then traveled somewhere to draw and write at the different places we explored. It was a dream that became my reality. I had the joy of sharing this magnificent country with my students every summer for a month-long sojourn. On long weekends, we traveled together through Germany, Czech Republic, and Italy. We climbed mountains; we stood on a mountain peak and gazed down in amazement at the eagles lying beneath us. On one such sunny afternoon, I locked arms with one of the students and we skipped down a high Alpine path. We stopped only when we ran out of energy and we bent over double, laughing together, gasping for breath. We wrote poems and stories in our journals; we wrote about our own experiences. Art was the focus of all we did. We created drawings and paintings in our morning studio and took our sketchbooks and journals to the streets and mountain pathways. Together, we trekked our way through the new places we found. Later, our sketchbooks and journals would provide us with information and memories to work with once we were back home and working on new projects. Gradually, over the years, I began to realize that the seeds of what we love become the life we live when we set our intentions in that direction. On that first visit, I had set something in motion that would become my life journey at a later time. It would be years, though, before I would understand it all. Now, sitting here in my office typing up this essay, I listen closely as the final piece of music comes to a conclusion. The piano and the violin have been playing together as I write. Each instrument is strong and one never overpowers the other – they are a good match! The Violin Sonata continues and I listen to the rapid notes of the piano moving of playfully through the house in what seems like a race with the violin. I can envision a spring afternoon in an Alpine meadow. At other moments, the violin and piano seem to me to be romping in the sunshine, chasing each other about on the lawn of a Bavarian castle, or around a formal rose garden in the city. . At times, if sounds like the piano takes the lead, yet, this is not the case. The violin weaves through the many notes and in the end they are one. I listen as applause breaks out immediately as the piano and violin strike the final note together. This day will take me on other, more mundane journeys as I walk my dogs, care for my cats, take my husband to the hospital for a check-up, and edit this essay tonight. At special moments throughout my day, I just might hear a few bars of Mozart’s Violin Sonata in B flat Oh, . I hope so! Oh, I hope…at the end of this day the music and I are on the same note.